2017: Made 29 appearances in all competitions for Republic FC, including 22 USL appearances ... Scored five goals and recorded five assists in USL play, good for fourth-most goals and third-most goals in the club ... Recorded and goal and an assist in the same match twice, including a goal and two assist performance against Rio Grande Valley FC Toros on Jun. 21 ... Was named to the USL Team of the Week in Week 2 and 14. 2016: Appeared in 20 matches for Blyth Spartans FC of the Northern Premier League … Scored eight goals, including a five-goal performance against Ramsbottom United on Feb. 13 ... 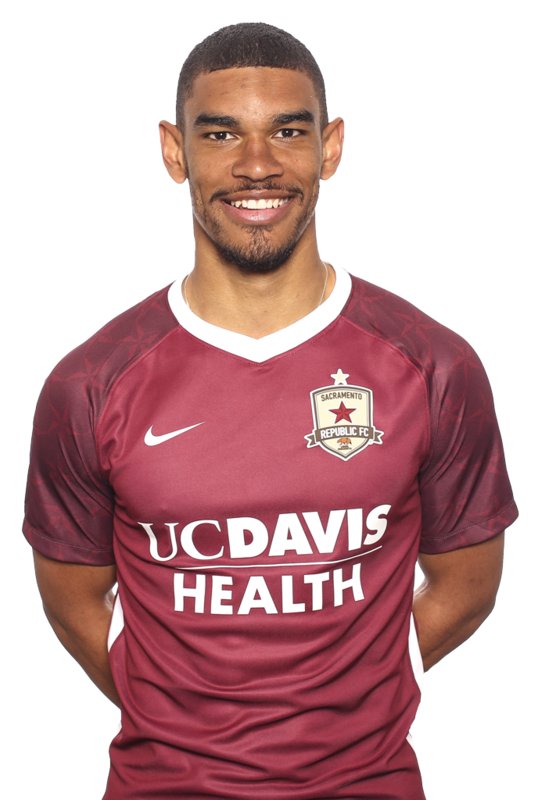 Signed with Republic FC on Aug. 11 ... Made five appearances, all as substitutes ... Scored three goals on the season on just four shots. 2015: Appeared in four matches for Darlington FC of the Northern Premier League … Scored a goal. 2013-2014: Appeared in 11 matches for Middlesbrough FC U23, scoring a goal … Signed with ACS Poli Timişoara, a Romanian first division club … Made eight appearances with ACS Poli Timişoara. 2012-2013: Appeared in 11 matches for Middlesbrough FC U23, scoring a goal and adding three assists.